We're creating a new resource for the design and delivery of digital mental health services. Join us! The World Health Organization predicts that depression will be the leading cause of disease burden by 2030. Today, mental health problems already exact a greater toll than tuberculosis, cancer, or heart disease. In recent years, there has been an explosion of mental health and wellbeing apps that are being endorsed by health providers – both public and private – across the globe. We’ve observed that since policymakers and designers lack a common baseline for mental-health service design, agencies and innovators repeatedly re-identify the same user needs and re-solve the same service delivery challenges. To address this gap, we are creating a free, public domain set of patterns for the design and delivery of digital services that address mental-health needs. We hope that these patterns will support policymakers and designers in building effective multi-channel products and services that are truly meaningful to people. Our goal is ambitious and so is our potential impact. You are looking at an early-stage prototype of what we hope will become a comprehensive pattern library for designers building digital mental health tools. With the right resources, a global team of Public Policy Lab and Snook team members, along with other expert partners, will engage in a robust series of research and design activities to build a complete pattern library. We are currently seeking partners and funding to help us build this project. If you are interested in partnering with us or funding our research on user-centered wellness services, please send us an email. We gratefully accept donations to support this work. You can make a contribution to the Public Policy Lab, a registered New York State charitable organization with U.S. federal tax-exempt 501(c)(3) status. Your gift is tax-deductible as allowed by your local law. These patterns are under construction. Each pattern is based on existing research or design precedents, and we will continue to validate them with each round of work. Please note that this website is a prototype. We are making our work process public so that we can gather feedback and build a community of contributors. 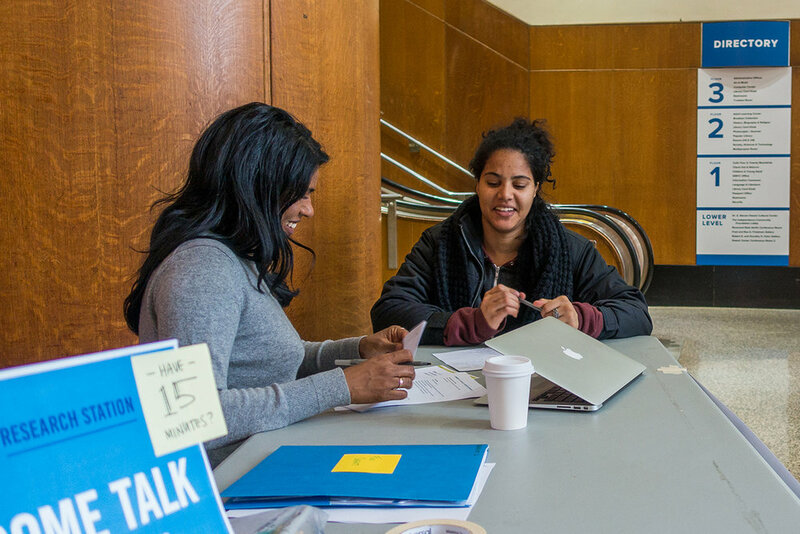 In Spring 2018, a group gathered in New York City for a two-day sprint to create a preliminary set of design patterns for mental health. You can read more about that process here. You can also check out our full list of supporting research. We will add to this list of resources as the project continues. This project draws on the insights of a network of public-sector innovation practitioners around the world. The Public Policy Lab is a nonprofit innovation lab for government. We apply human-centered methods from product design, behavioral science, and technology development to the challenges facing low-income people. Since our founding in 2011, we've partnered with municipal and federal agencies to measurably improve the creation of public policy and the delivery of public services for millions of Americans. Snook is an award-winning and highly regarded Design and Social Innovation Agency based in Glasgow and London. We’re on a mission to design a world that works for people. We have been applying Service Design methods (including co-design and co-production) in our work with Public, Third and Private Sector Organizations since 2009, working with national government, local authorities, the police, health, social and education services across the UK.